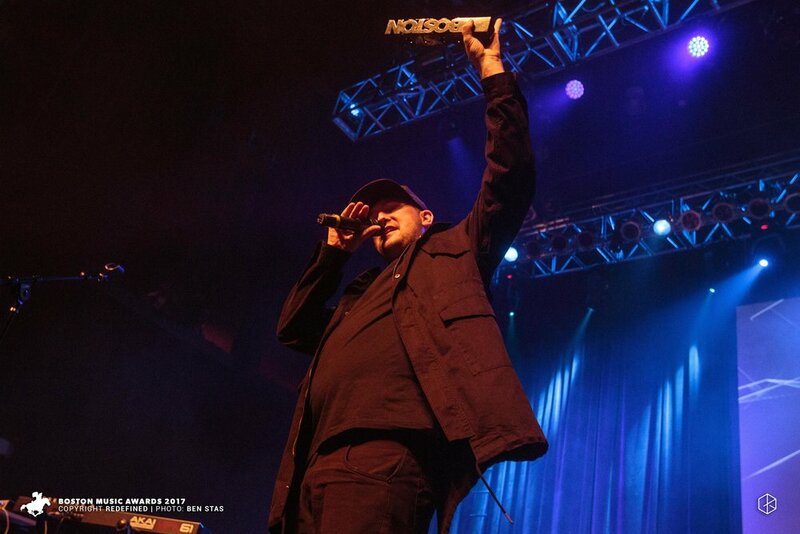 On the heels of monumental year in 2017, STL GLD earned themselves multiple Boston Music Awards and a spot on this spring’s Boston Calling Festival stage. Now, STL GLD is prepped to drop their first singles since releasing their critically acclaimed full length, ‘Torch Song’ early last year. Continuing in the momentum they’ve built, emcee, Moe Pope and producer, The Arcitype have tapped NYC friends and buzzworthy trio, Too Many Zooz to help them with one of their first musical statements of 2018. 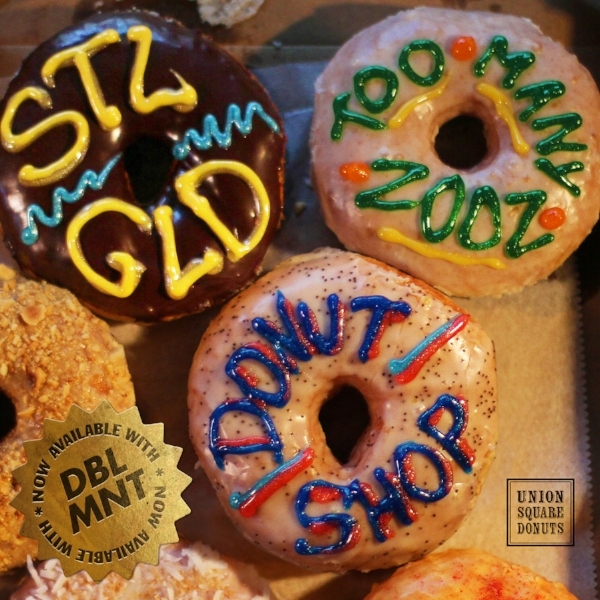 Harkening back to the days of traditional A-side/B-side singles, STL GLD deliver an upbeat and stylized ‘Side A’ track with “Donut Shop”, and contrast that with a darker, more brooding ‘B-Side’ in “DBL MNT”. To help fully bring the spirit of the track’s title to life, STL GLD has partnered with local-Boston Donut crafters, “Union Square Donuts” to help promote the new single, as well as their incredible donuts, which Boston Magazine deemed, one of the 2017 “Best Of Boston”. STL GLD will be performing at an already sold out show at The Sinclair in Cambridge, MA on March 31, as direct support for The Soul Rebels Brass band with Talib Kweli. Following their set, they will be DJing the rest of the night at the venue’s Restaurant Bar celebrating the release of these two new singles. Esh Drops New Visual for "Important Boy"
Pancho (formally Fran-P) has returned with another batch of stories. This time around he partnered with Scott David who provided ambient canvas for the 9 track EP. AR Classic Records Lands 12 Nominations at 2017 Boston Music Awards! 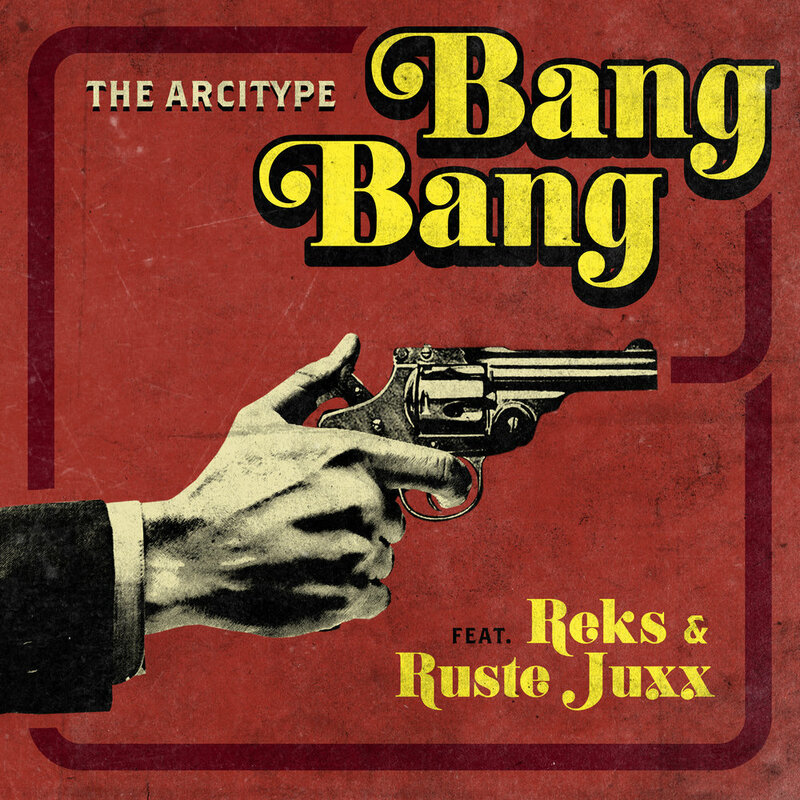 AR Classic put up big numbers on this year's Boston Music Awards Nominee list, with STL GLD pulling 6 nominations, Avenue landing 5 and The Arcitype vying for his second consecutive "Studio Producer/Engineer of The Year" Award! Two-time Boston Music Awards Hip Hop Artist of Year, Moe Pope has built the reputation for being one of Boston's most exciting emerging Hip Hop artists. 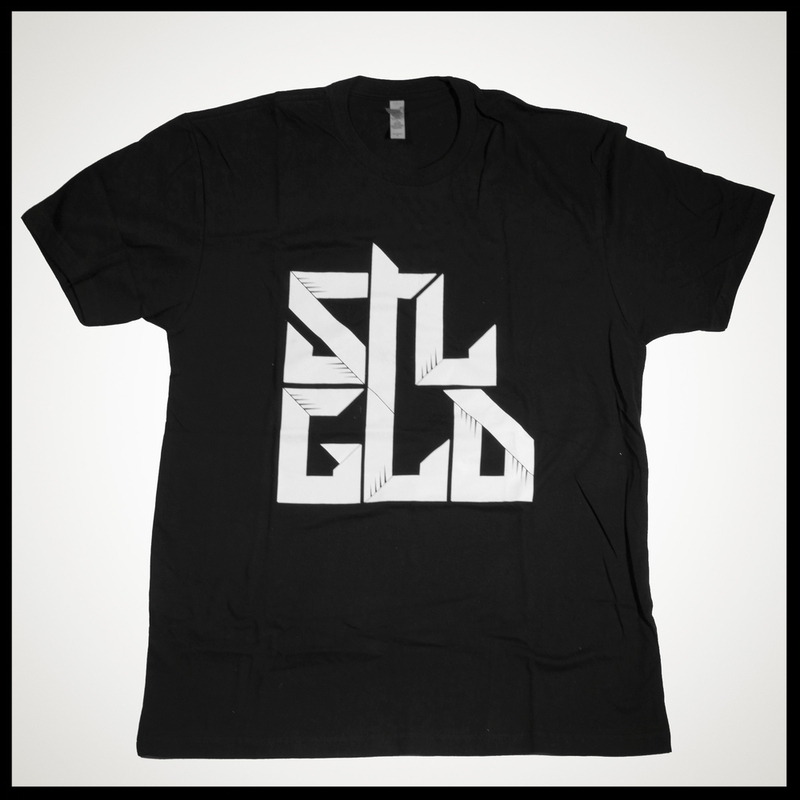 With a number of projects already under his belt, the seasoned emcee partnered with producer, The Arcitype (2016 Boston Music Awards Studio Producer of The Year) in 2014 to form a new duo; STL GLD (pronounced Still Gold). Their full length debut, 'My Monday Morning Music' (MMMM) received high praises, and helped solidify STL GLD as one of the more sought after acts in the Boston music scene. Now, they are back with their sophomore full-length follow-up, 'Torch Song'. 'Torch Song' features guest appearances from Monica Raymund (NBC's Chicago Fire), Jared Evan, Frank The Butcher, Dutch ReBelle, Avenue & more, and is now available on AR Classic Records. AR Classic Records welcomes its latest signee, SPNDA (1/3 of Hip Hop collective, Retrospek), and presents his new 10-track full length album, 'Shards Of Glass'. SPNDA calls on friends Termanology, Reks, Guilty Simpson, Chilla Jones and more for contributions, while the production side is eloquently handled by Statik Selektah, Hash Gordn and Cyrus The Great. Esh & Arc Release video for "Death Doesn't Want You"
AR Classic Records is proud to announce that Boston's veteran wordsmith, Slaine has announced his new EP, 'Slaine Is Dead' will release with AR Classic Records on September 23, 2016. Slaine and producer/label owner, The Arcitype have been hard at work in the studio, crafting this new EP for an early fall release. They announced the project today with the release of the first visual off the project, for "Pusher". Watch the video below and pre-order 'Slaine Is Dead' digitally on iTunes or on CD at the AR Classic Online Store now! Esh & Arc have released a new visual for “The Other Shoulder” featuring DJ Slipwax. Director and editor, Xander Hayes takes a classic performance approach to the video, and gives it a slight twist with some detailed attention to color, accenting the black and white video with hints of red throughout. Esh & Arc’s performance paired with the editing style match the dark, driving nature of the song. The echoed chorus of “Angels don’t sing, let’s clip their wings” is paired with imagery of blood-drenched angelic statues. A unique and notable detail of the video is showcased in the final minute or so of the song, when the video transitions into a VJ-controlled section cut together by DJ Slipwax, matching the electrifying scratches he contributes to the song. "The Other Shoulder" has been premiered by the fine people at GoodMusicAllDay, click below to watch the video! Listen to the full album 'Death Doesn't Want You' here!